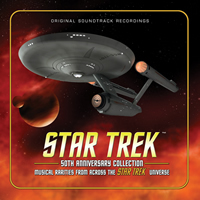 La-La Land Records and CBS present, STAR TREK: 50th ANNIVERSARY COLLECTION – MUSICAL RARITIES FROM ACROSS THE STAR TREK UNIVERSE, a sensational celebration of 50 years of Star Trek music in honor of the landmark series’ five-decade milestone. Travel at warp through Star Trek’s spellbinding musical history, with rare and exciting selections from the franchise’s varied television series, films, games, themed attractions and more! 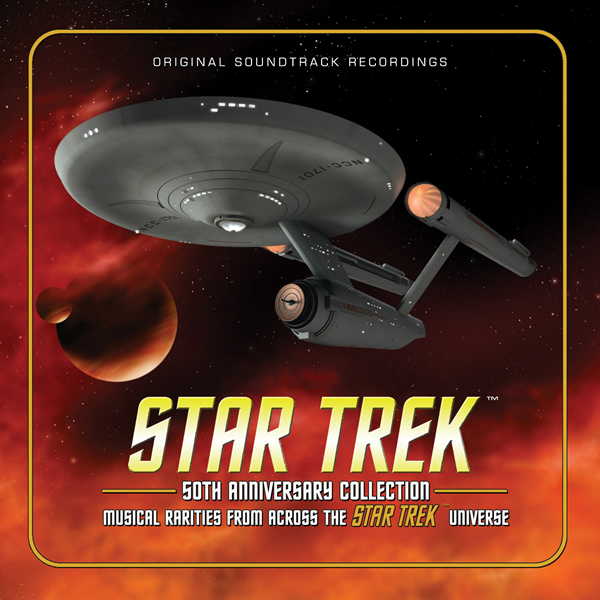 DISC TWO showcases the official world premiere release of music from STAR TREK: THE ANIMATED SERIES, the beloved 70’s Filmation TV series, as well as original STAR TREK-inspired compositions from Ron Jones, and STAR TREK BORG, a score by Dennis McCarthy from an interactive 1996 movie/computer game. DISC THREE features previously unreleased scores from STAR TREK: THE NEXT GENERATION, including such episodes “Coming of Age,” “The Hunted,” “Tapestry” and more, as well as the series’ trailer music. DISC FOUR contains more unreleased THE NEXT GENERATION, including “Deja Q,” “Elementary, Dear Data,” and others, as well as unreleased demo tracks from DEEP SPACE NINE, and VOYAGER, original score from the famed Las Vegas attraction, STAR TREK: THE EXPERIENCE, and still more! Produced by Lukas Kendall and mastered by Doug Schwartz and James Nelson, this special collection contains a 48-page booklet with exclusive liner notes by writer Jeff Bond and stellar art design by Mark Banning. This treasure trove of musical gems from the most celebrated sci-fi television series of all time has a total running time of more than five full hours and is limited to 3000 units. 59. You Will Be Assimilated. Trailer Music, 1990–91: #184, 186–227.